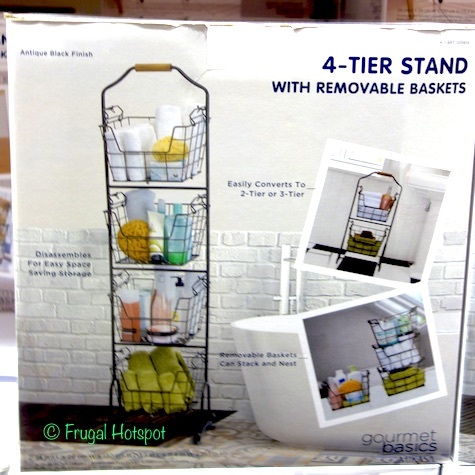 You can easily customize this to your preference. 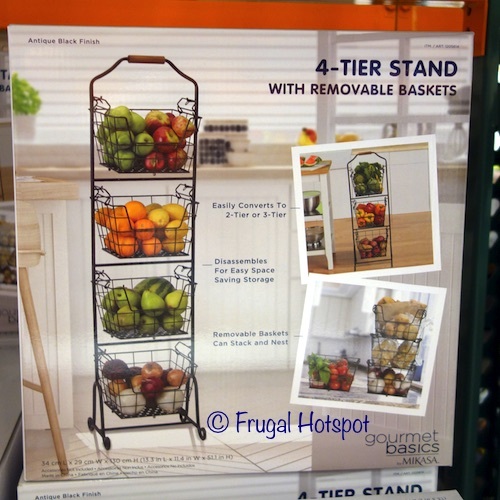 Use it as a 2-tier, 3-tier, or 4-tier stand or remove the baskets to stack them. 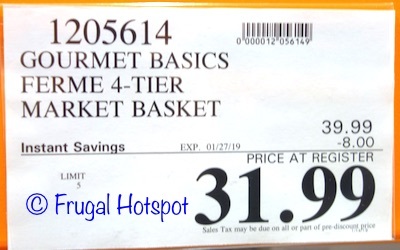 Select Costco locations have the Gourmet Basics Ferme 4-Tier Stand with Removable Market Baskets on sale for $31.99 (after instant savings), now through January 27, 2019. 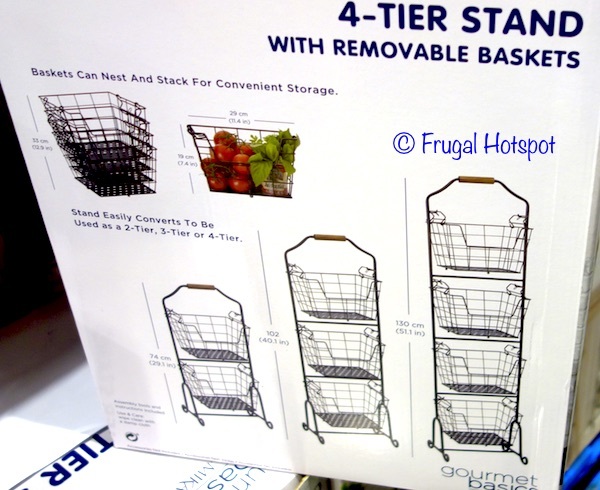 That is $8 off Costco’s regular price of $39.99. While supplies last. Item #1205614. Antique black finish.